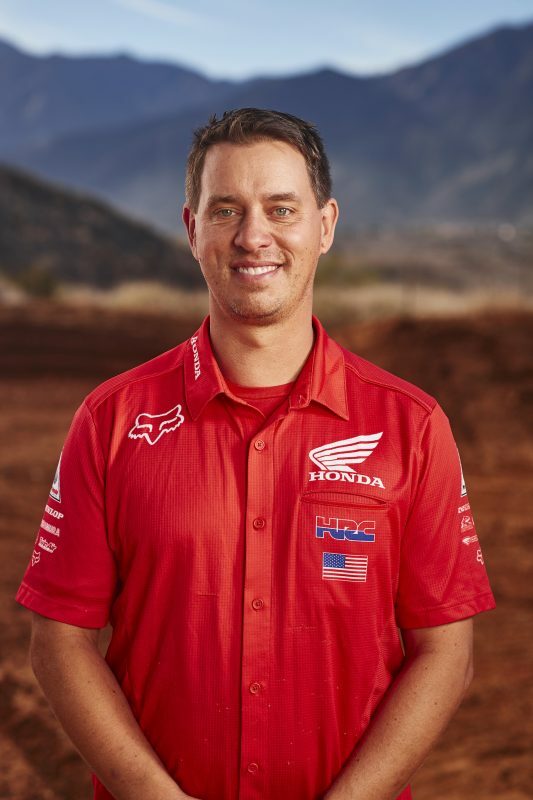 It was a challenging evening for Team Honda HRC’s Christian Craig, as crashes during the 27-lap main event left him in 16th by the checkered flag. Craig got a decent jump out of the gate but was delayed in turn one when other riders went down. The Californian worked his way into 11th place before he lost the front end in a rut on lap three, sending him to the ground. Craig went into salvage mode upon remounting in last place, trying to recuperate as many positions as possible. 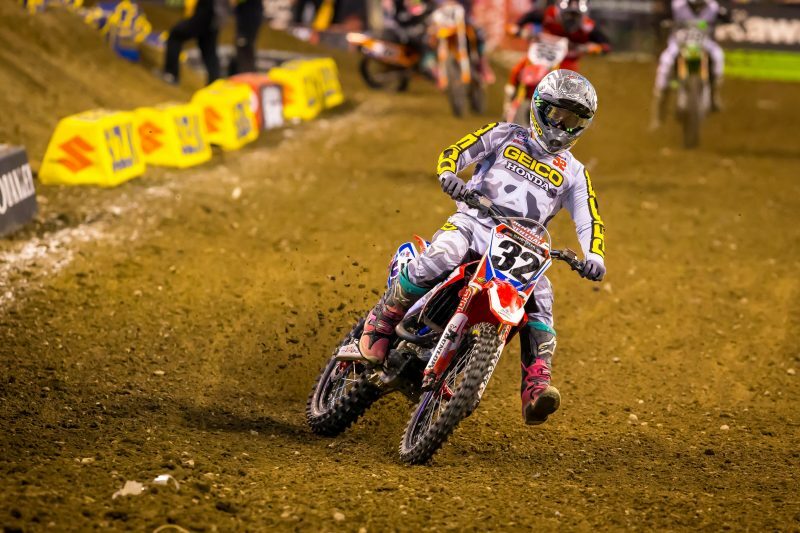 While in 14th with less than two minutes remaining, Craig was working his way around a lapped rider when the two came together, sending him to the ground once again. 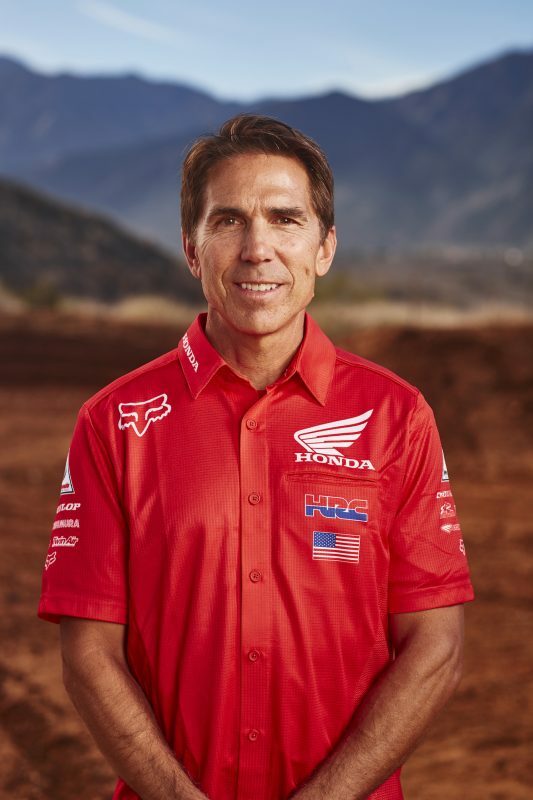 He lost two more spots and ultimately crossed the finish line in 16th place. 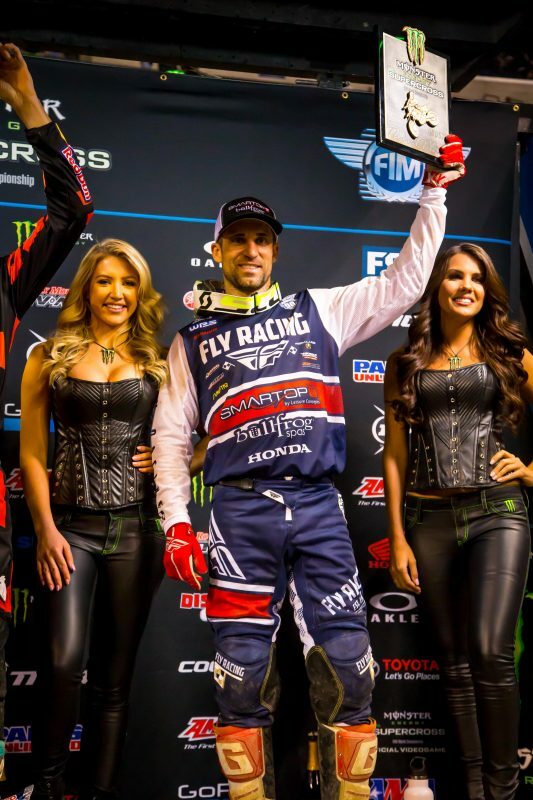 Meanwhile, Smartop/Bullfrog Spa MotoConcepts rider Justin Brayton continued his impressive campaign, scoring a notable podium finish. Brayton got off the line to a seventh-place start aboard his CRF450R before working his way into fourth by lap three. On lap 21, Brayton took advantage of another rider going down in front of him to secure the final podium position. 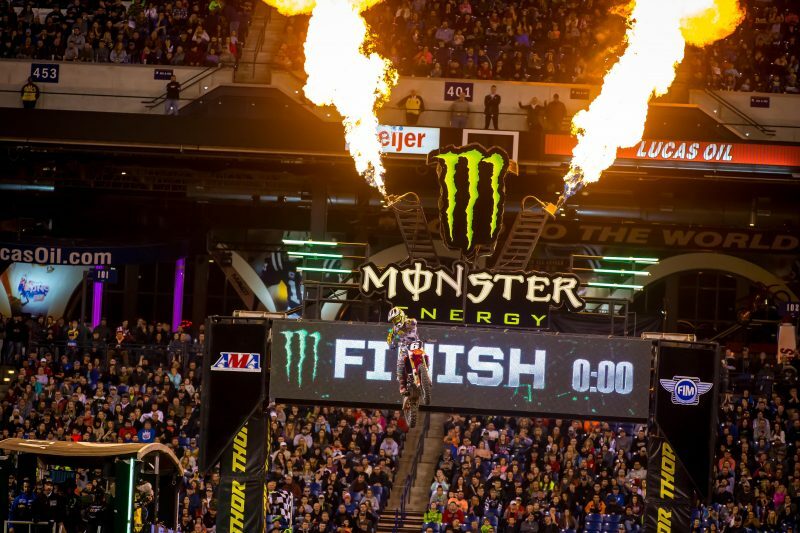 The Indianapolis Supercross track showcased the shortest lap times of the year, with some riders dipping as low as the 43 second mark during daytime qualifying practice. 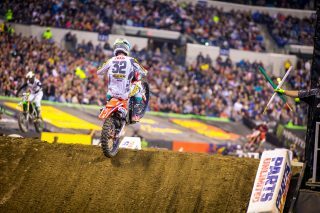 Brayton was again the top Red Rider, securing the fifth-fastest time with a 44.060” lap, while Craig was eighth with a time of 44.424”. 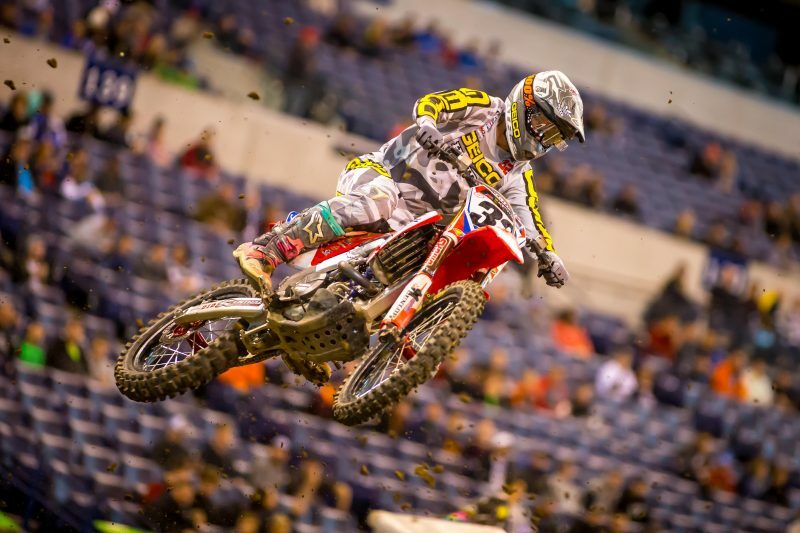 Slotted in heat 1, Craig launched his CRF450R to a solid third-place start. 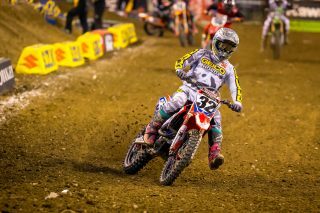 On lap five, he made a blazing pass on Chad Reed through the whoops, taking over second and transferring straight to the main event. 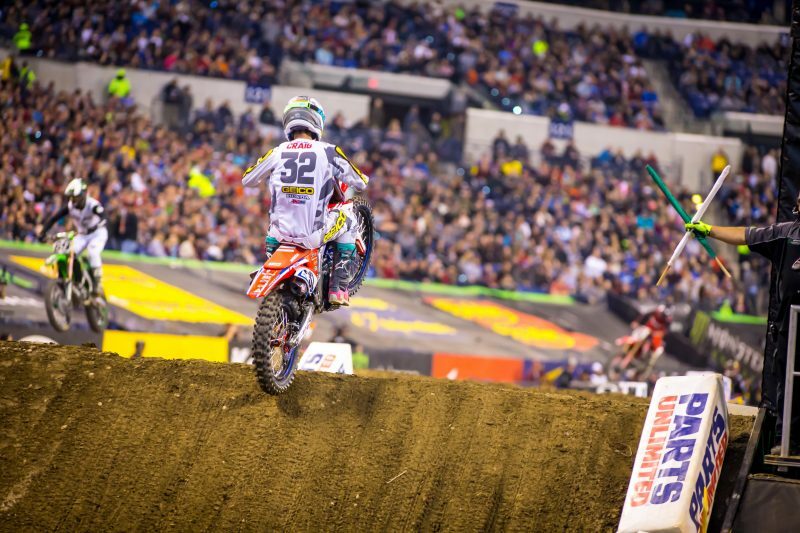 In heat two, Justin Brayton scored the holeshot aboard the No. 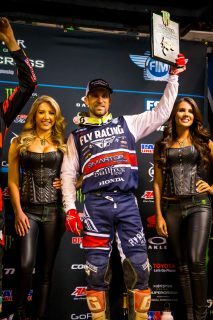 10 CRF450R, leading every lap to take his third consecutive heat-race win, and his fourth of the season. The Indianapolis Supercross marked the first of two 250SX East/West Showdowns, with riders from both regions competing for the top spot. 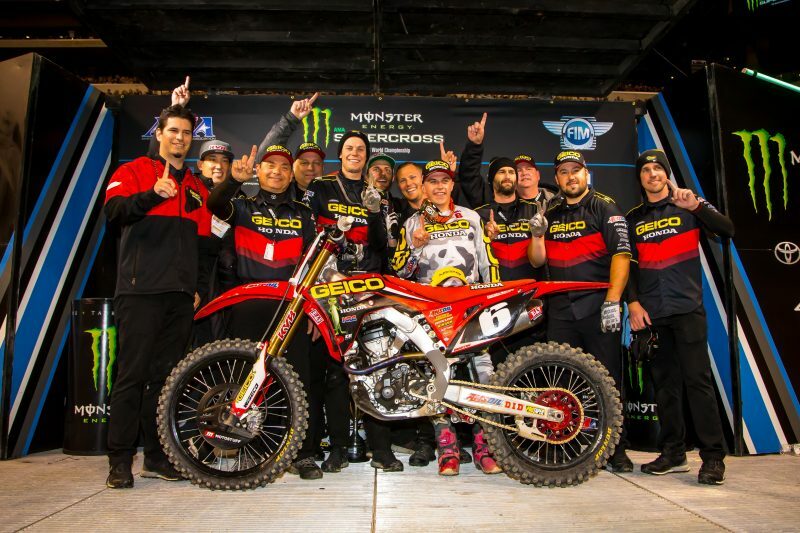 It was a dream night for GEICO Honda’s Jeremy Martin, as he rode impeccably aboard his CRF250R from start to finish. Martin scored the holeshot and led wire-to-wire, taking his first victory of the season. 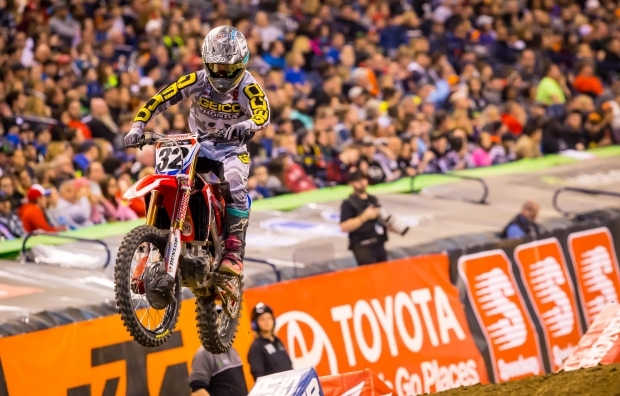 Though he’s still out of action, Team Honda HRC’s Ken Roczen attended his fourth race of the season since his injury in San Diego. 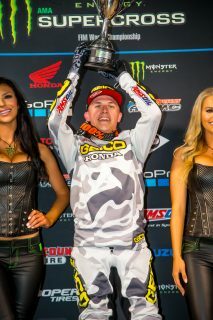 Although the pits were closed, Roczen was kept busy throughout the day, interviewing with Fox Sports 1 for a feature that will air during the summer and joining Jim Holley and Daniel Blair on Race Day Live before heading into the Fox Sports 1 broadcast booth to commentate during the East/West Showdown alongside Ralph Sheheen and Jeff Emig. 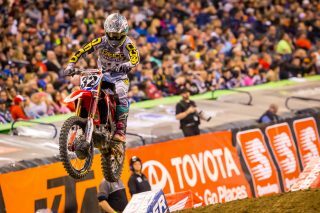 This marks the final 2018 supercross race that Roczen will attend, as he’s scheduled to have surgery on April 11 in Vail, Colorado, where Dr. Viola will remove the pins from the German’s right hand. 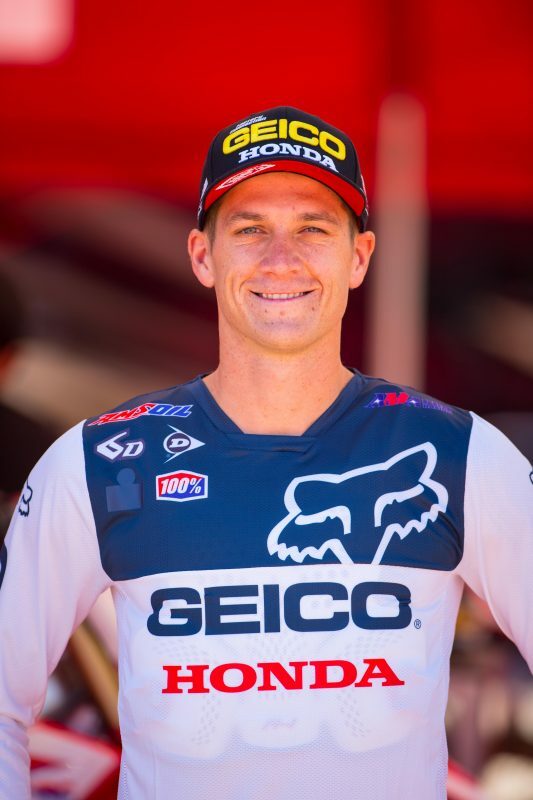 The procedure is expected to be quick, with Roczen scheduled to head home the same day and begin riding on April 16. 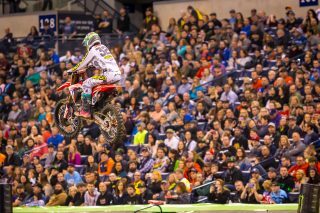 After running for 12 weeks straight, the AMA Supercross series will take a welcome one-week break over Easter weekend. 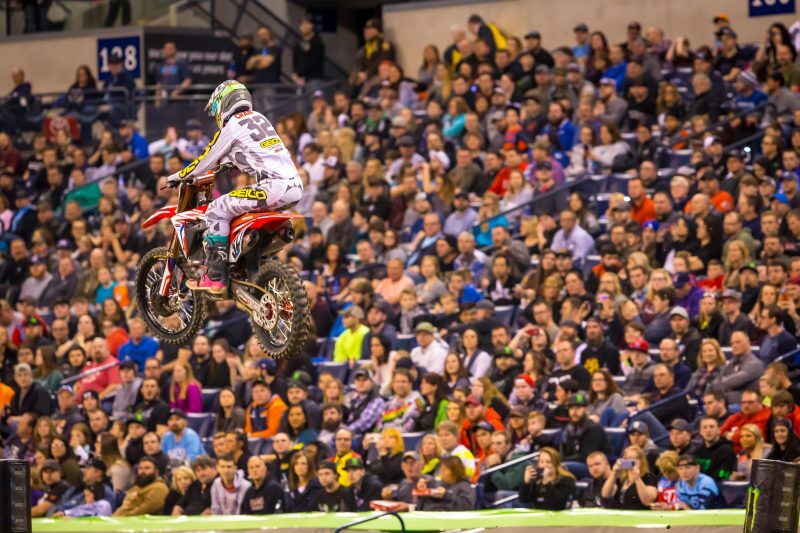 Team Honda HRC will return to action in Seattle on April 7 for round 13.